As you know, the UW System is transitioning to a new digital learning environment (DLE) based on the Canvas Learning Management System (LMS). UW System is making this change with an eye toward a better future for our students. Like all UW institutions, CEOEL is transitioning now and plans to have all courses running in Canvas by the end of 2019. We all know that changes can be uncomfortable and often require some extra work in order to complete them. However, we are here to help you. We will provide support throughout the transition and afterward. This site serves as our “hub” for faculty to learn about the CEOEL Canvas migration. CEOEL instructional designers have been learning about Canvas and preparing for the transition for months so we have many resources and experiences to share. Several testimonials from faculty that have already made the transition are provided. They describe why they think Canvas can enhance the teaching and learning for both faculty and students. 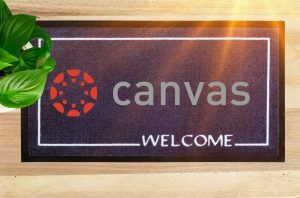 We also lead you to an overview of the Canvas environment to help you understand the main differences between Desire2Learn and Canvas. You can also find the links to the Canvas training sessions and information webinars on the Training page. Use the links in the right sidebar to navigate this DLE transition site. We encourage you to contact the Instructional Design team if you encounter any issues. You can also consider contacting Canvas for assistance or asking questions in the Canvas Community.